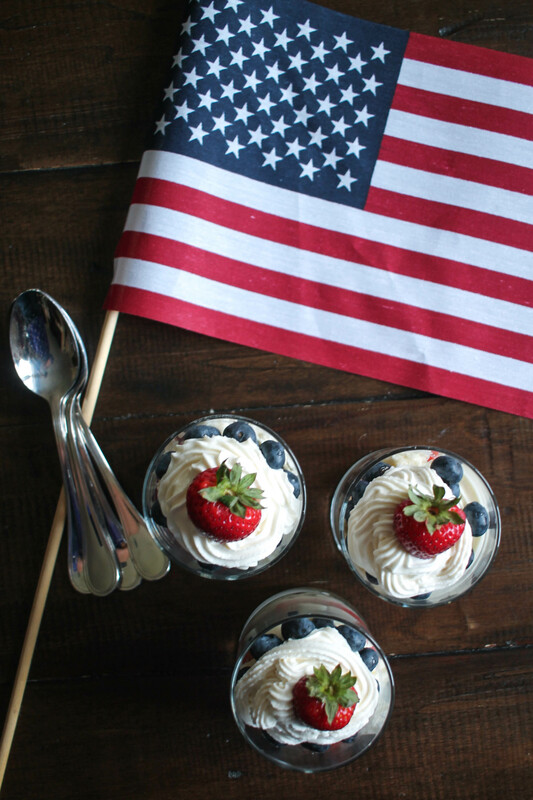 Best 4th of July Recipes - Festive Recipes for your Fourth of July Party! 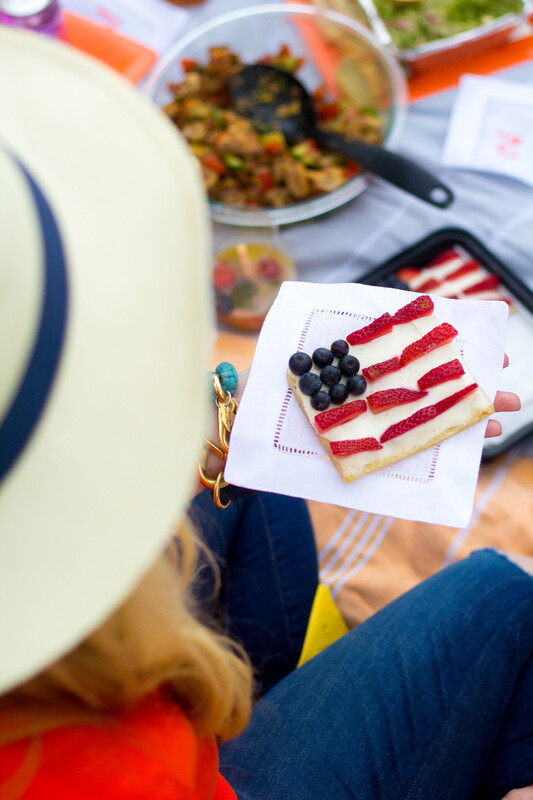 Independence Day is just around the corner, and with that in mind, I am sharing my best 4th of July Recipes! 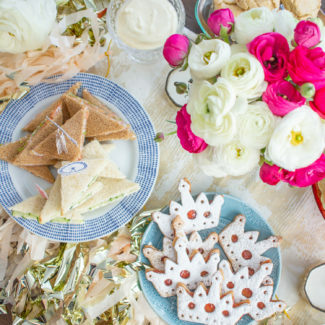 Some of these recipes embrace the red, white, and blue color scheme, while others are perfect to serve at a party. 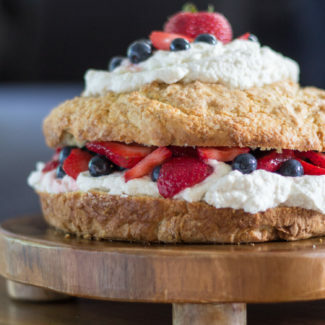 This patriotic shortcake is made with a biscuit style cake, fresh whipped cream, sliced strawberries, and blueberries. 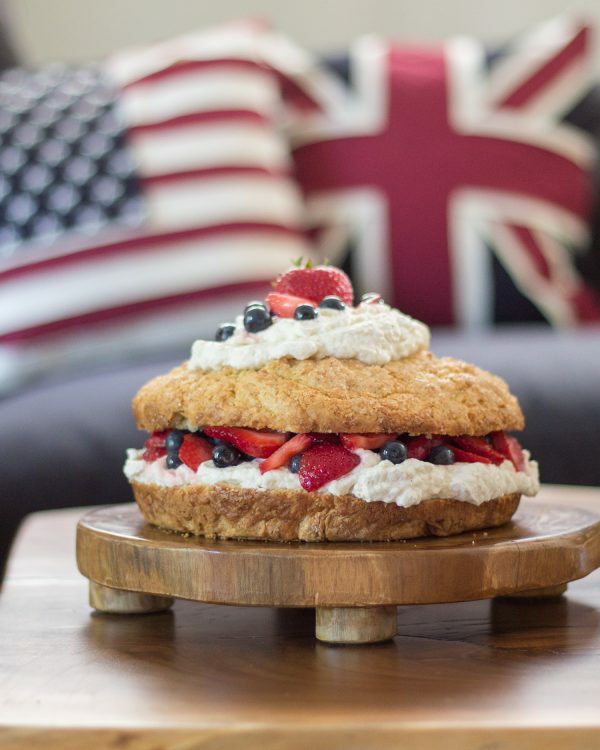 It is a classic dessert and a fitting centerpiece for a 4th of July celebration. 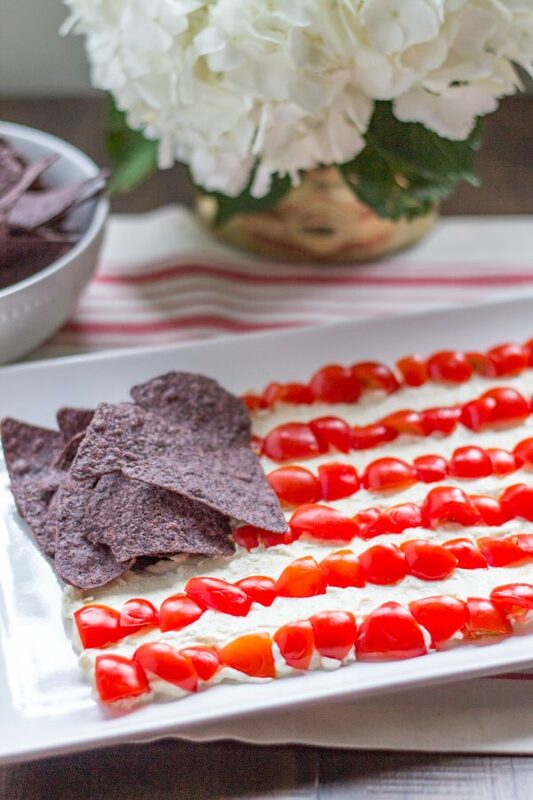 This is the easiest, and most patriotic appetizer that you can serve! 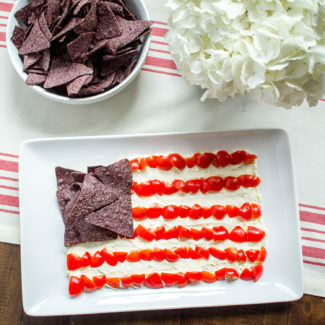 Feta is whipped with cream cheese, lemon, and olive oil, and then spread onto a plate and decorated with sliced tomatoes and blue corn chips to create an American flag! 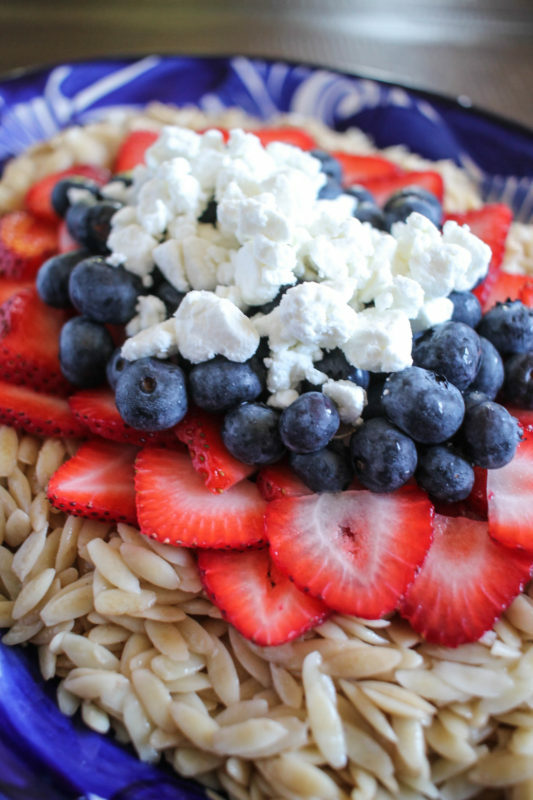 This was my most popular 4th of July recipe on the site last year. 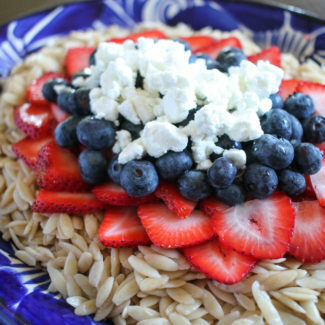 This orzo salad is made by tossing cooked orzo pasta in balsamic vinegar and then topping it with sliced strawberries, blueberries, and crumbled goat cheese. I love the sweet and salty flavor combinations in this salad. These no-bake cheesecake parfaits are a no-fuss dessert that can be made into individual servings. 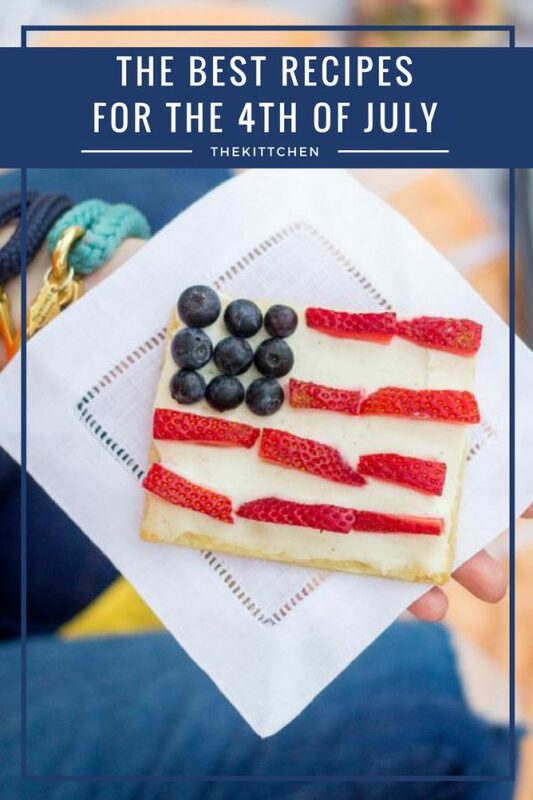 These sugar cookies are topped with no-bake cheesecake filling and then decorated with blueberries and strawberries to resemble an American flag are definitely one of the best 4th of July recipes. 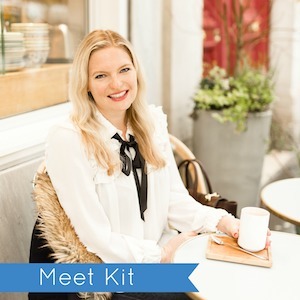 This quick and easy cocktail recipe was a huge hit at my friend’s bachelorette party. 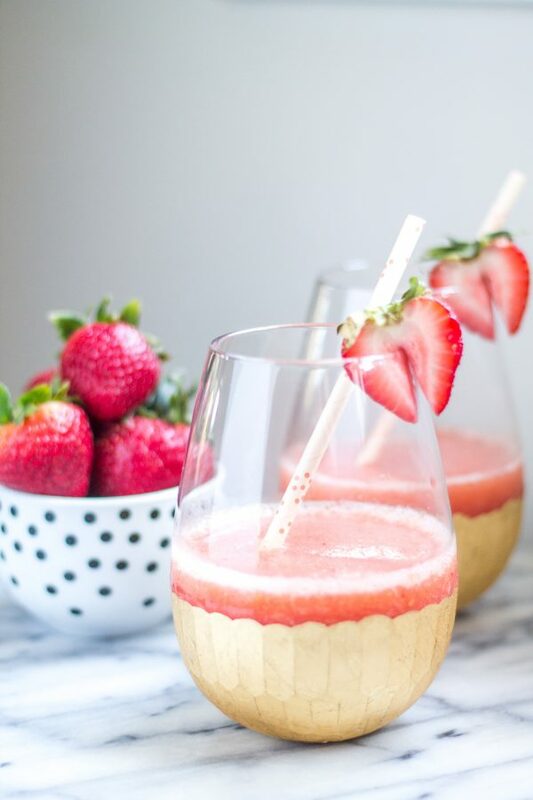 This recipe for 1 minute Rosé Slushies could not be any easier – frozen peaches, watermelon, and strawberries, get blended up with a dash of vodka, and chilled rosé for a fruity and refreshing drink. 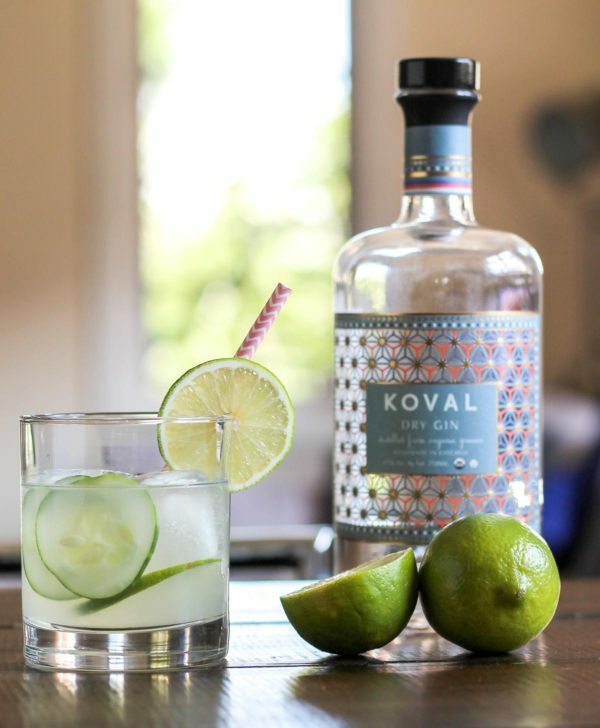 This cocktail is refreshing twist on a classic gin and tonic that is perfect for summer. 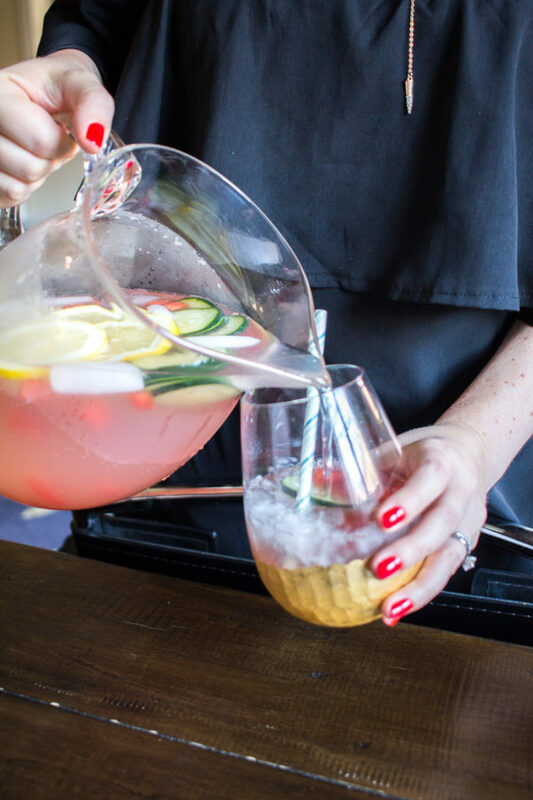 You can make these cocktails in a big batch and serve them in a drink dispenser or you can mix them up one by one. I love this appetizer because it is more hearty than most. This is the type of thing to serve if you are planning to serve a bunch of appetizers and not a full meal. 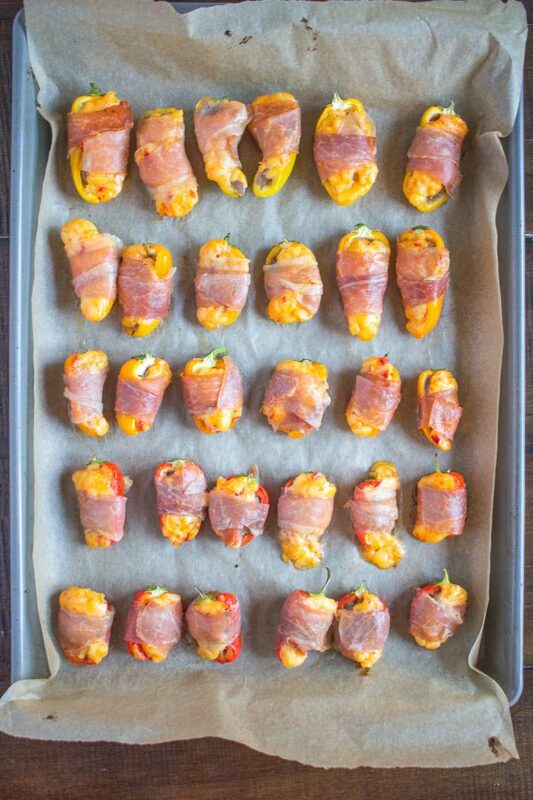 Sweet peppers are filled with ground beef and cheese and then wrapped with prosciutto. 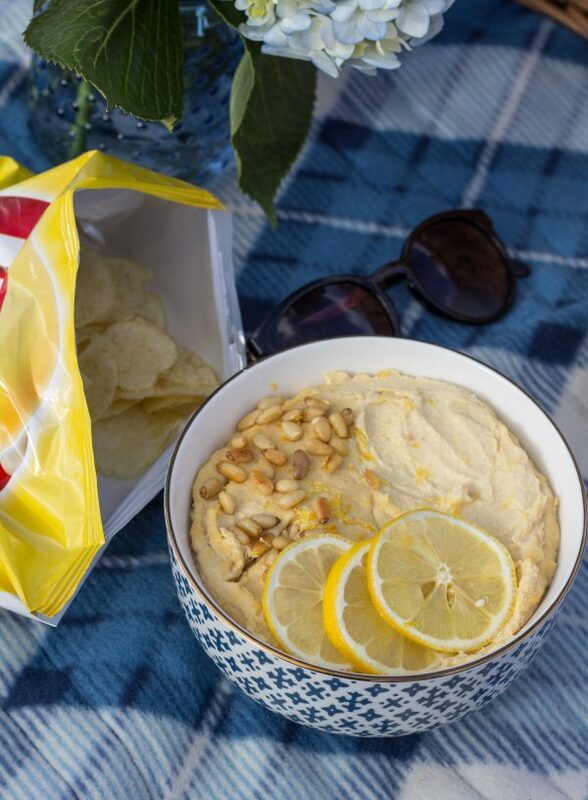 Hummus is easy to make, and homemade hummus really tastes so much better. I have tried making several different types of hummus over the years, but roasted garlic and lemon is my personal favorite. 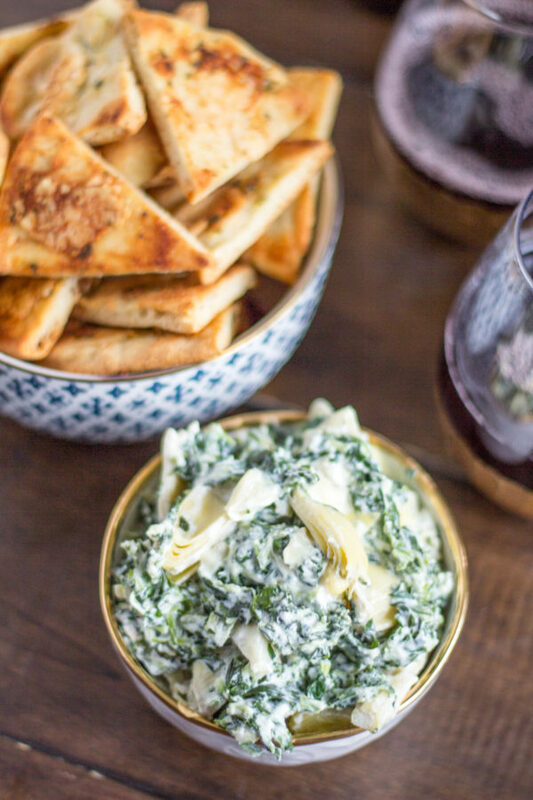 Spinach Artichoke Dip is a staple at parties and this reduced fat version is still creamy and cheesy. 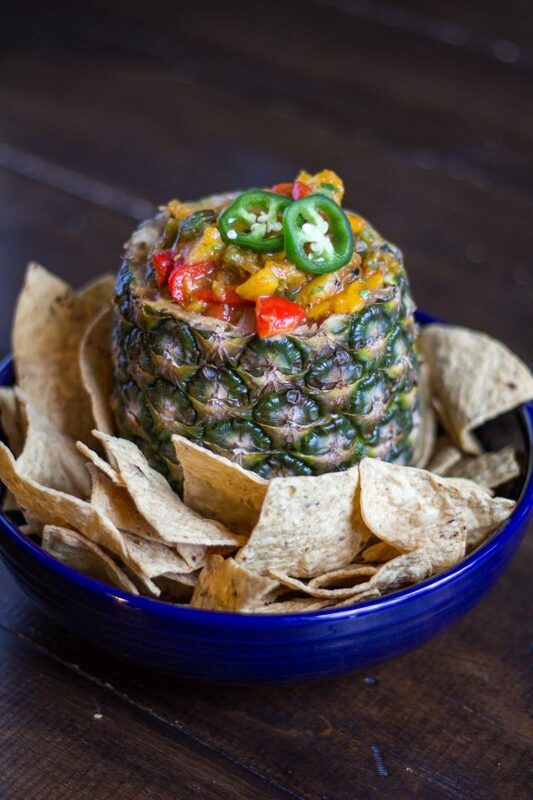 I love the presentation of this sweet and spicy salsa – it is perfect for a summertime party. The sweetness and fruitiness of the pineapple and mango contrast nicely with the jalapeño and spices. 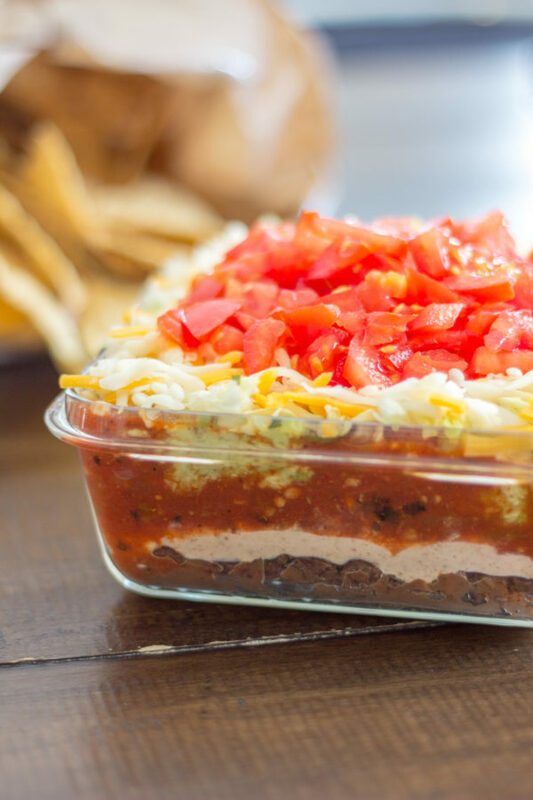 This incredibly easy to prepare dip tends to be the first thing eaten at parties. 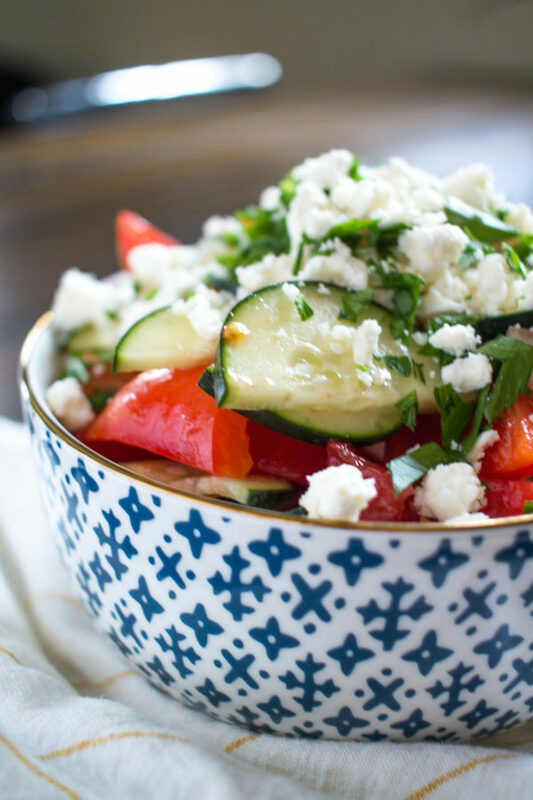 This salad is common in the Balkans, and I love how light and refreshing it is. It’s just the thing to make with fresh juicy tomatoes. 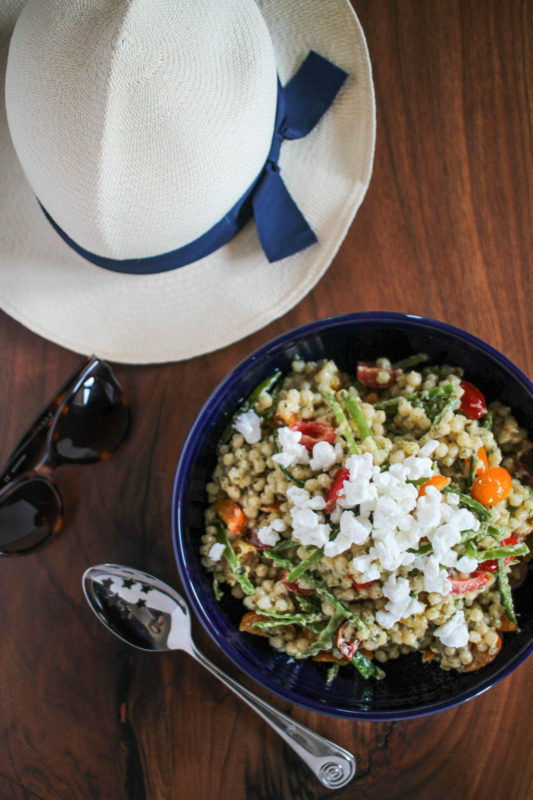 This couscous salad is made with pearl couscous, fresh tomatoes, sugar snap peas, pesto, and goat cheese. You can eat it warm or chilled. 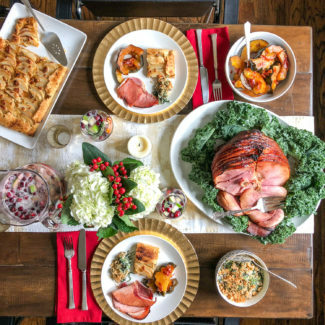 You can serve it at a party – or make it for weekday lunches. 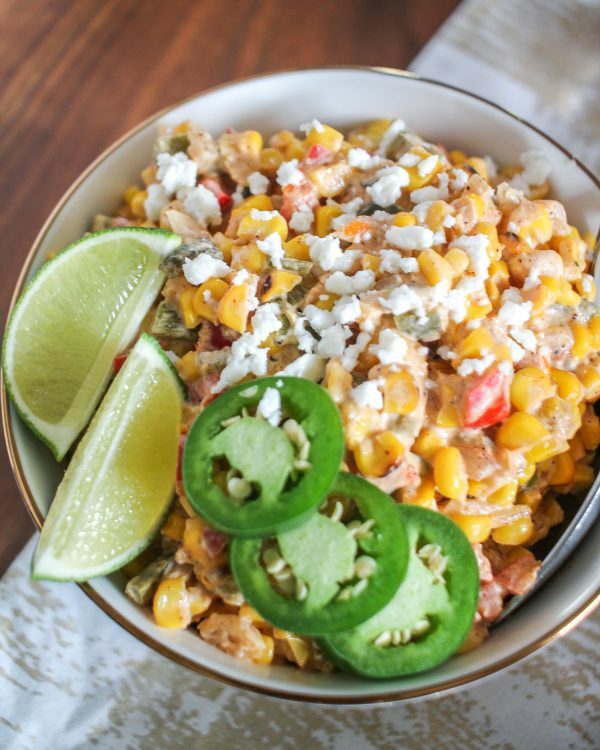 This creamy, cheesy, and spicy salad made with fresh corn is a fun summertime vegetable side dish. 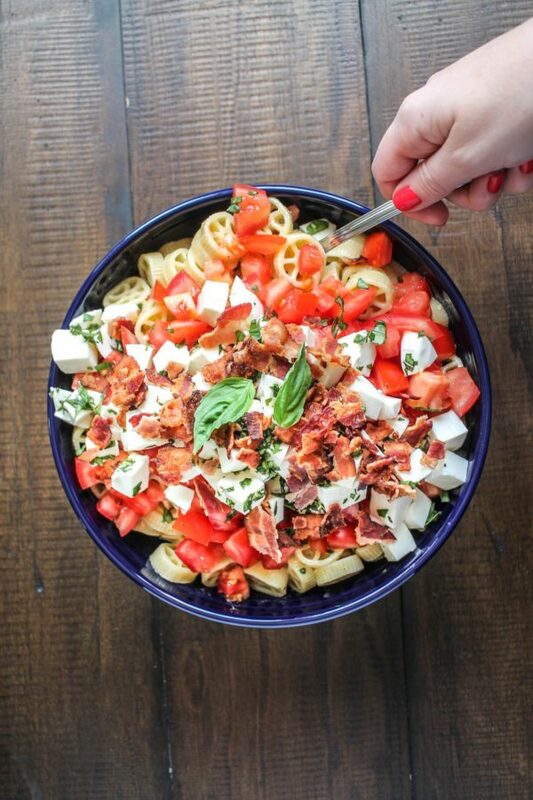 Caprese salad comes together with pasta and bacon for a side dish everyone will love. I am not into pasta salads made with mayonnaise. They are just so heavy. 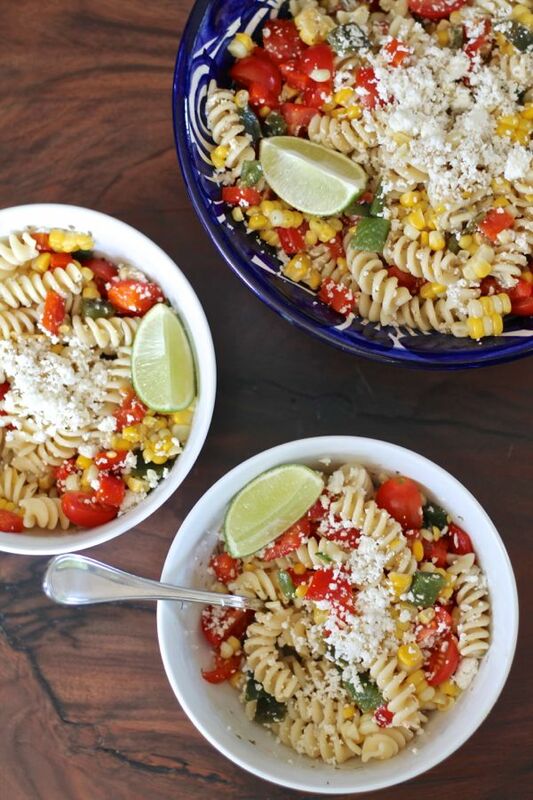 This salad uses ranch dressing instead of mayonnaise and it pairs wonderfully with the pasta, tomatoes, roasted bell peppers, lime juice, cheese, and fresh corn. 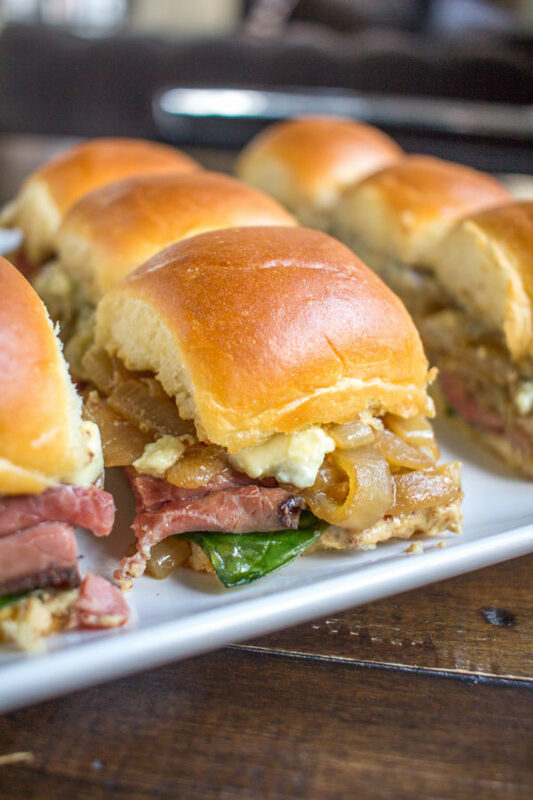 These sandwich sliders are an easy way to feed a crowd. The combination of blue cheese, mustard, caramelized onions, spinach, and roast beef is spectacular. 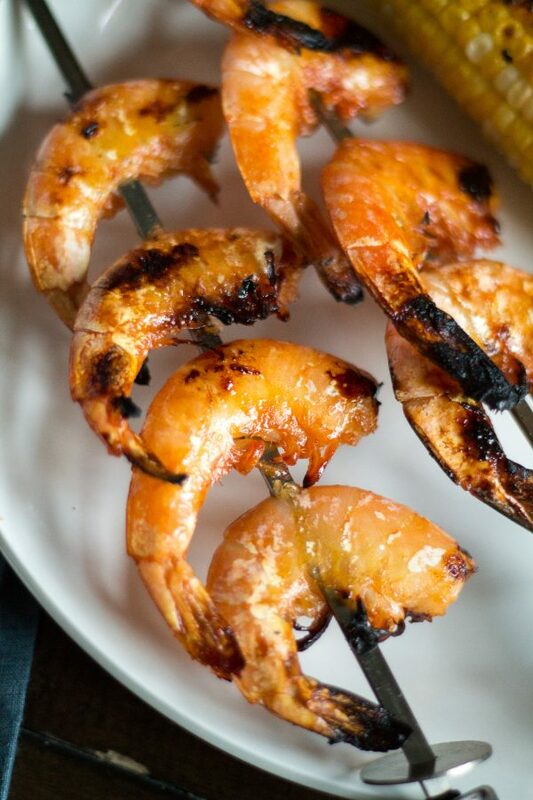 This simple recipe for sweet and spicy shrimp is an easy recipe to add to your grill. Is there anything more American than Mac & Cheese? 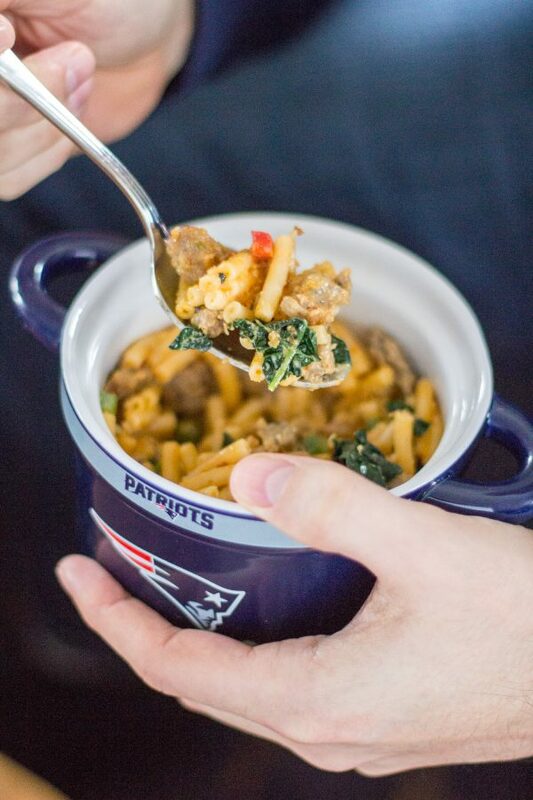 I used boxed Mac & Cheese from Safe + Fair to create three fun variations of macaroni and cheese: sausage with peppers, chorizo jalapeño, and buffalo chicken with broccoli. 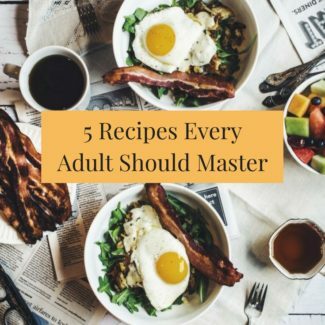 The best part is that each recipe takes under 30 minutes to prepare! 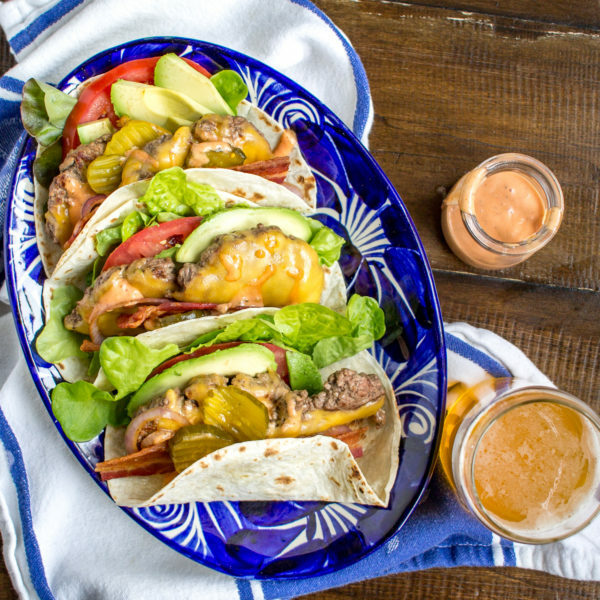 Instead of serving up burgers, serve bacon cheeseburger tacos. They are easier to eat than a typical burger (the toppings don’t come crashing down onto your plate when you take a bite) and you can add a variety of fun toppings – like sriracha animal sauce. I think that these tacos are one of the best 4th of July recipes because cheeseburgers are such an all-American summertime meal. 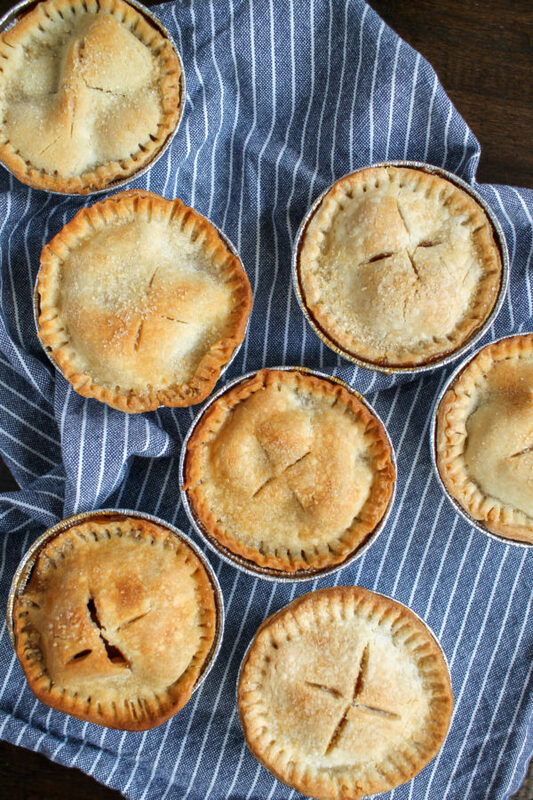 How cute are these mini apple pies?! They are easy to prepare and even easier to serve. They also make a beautiful display at a party. 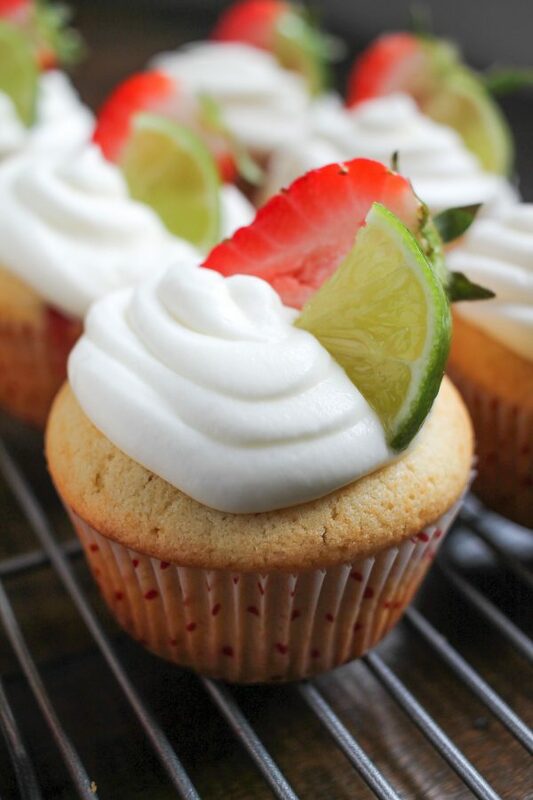 Strawberries and lime give these cupcakes a fresh fruity flavor. If you want to be a little more patriotic you could garnish the cupcakes with strawberries and blueberries. 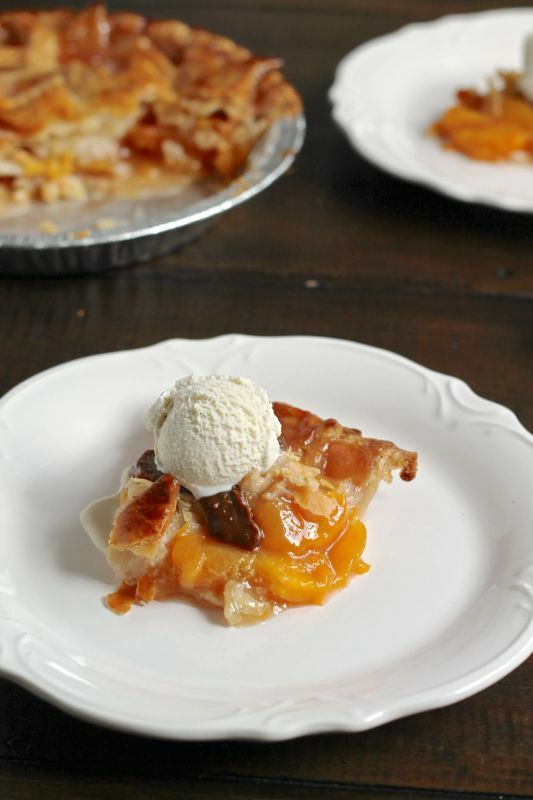 This peach pie gets extra richness from the bourbon and a drizzle of caramel sauce. I like to use cookie cutters to cut out star shapes and then I layer them to create the top of the pie crust. It looks great and makes the pie even more festive! 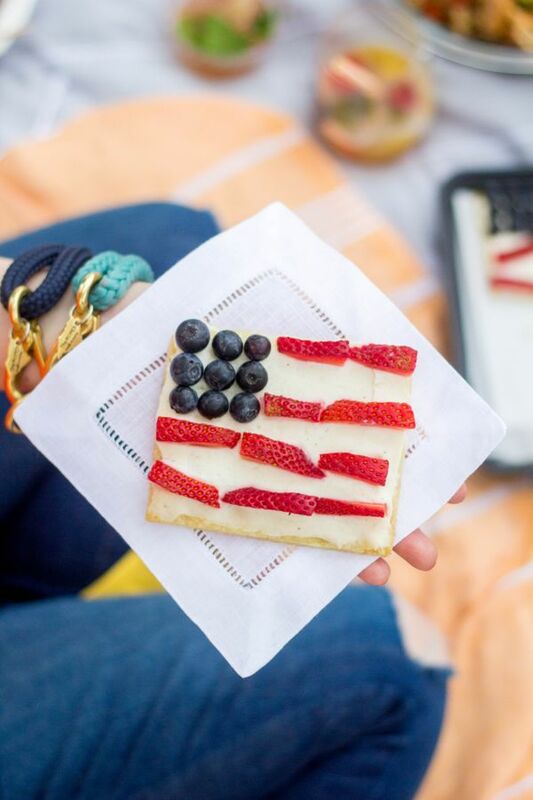 Do you have any favorite 4th of July recipes? I would love to hear about them in the comments!